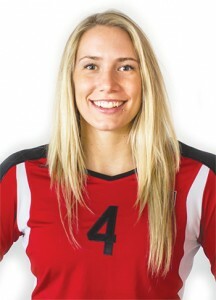 Hannah Deede, the former two-sport standout at Silverton High, earned honorable mention all-Great Northwest Athletic Conference volleyball honors in her senior season at Western Oregon. The 6-2 Deede, who transferred to WOU after spending her freshman season at Gonzaga, led the Wolves in kills (224), kills per set (2.41), total points (265.5), points per set (2.85), and solo blocks (6). The third-year player also finished in the top three on the team in four other statistical categories: total blocks (2nd – 77.0), blocks per set (2nd – 0.83), block assists (2nd – 71), and attack percentage (3rd – .181). Corban women’s soccer: Sisters Sierra and Sheyenne Brusven of Silverton played key roles for the Warriors, who finished 10-7-3 overall and advanced to the semifinals of the Cascade Collegiate Conference tournament before falling to perennial power Concordia of Portland. Midfielder Sierra played in all 20 matches, starting 17 times, scoring two goals and adding an assist. Backup goalkeeper Sheyenne started six times and turned in a 2-3-1 record with 25 saves. Willamette football: Derek Traeger, a senior wide receiver from Kennedy, caught 40 passes for 400 yards and two touchdowns for the Bearcats. Traeger also rushed for a touchdown and returned 10 kickoffs for 182 yards. He finished his career with 120 receptions, including a junior year in which he caught 67 passes and made the all-Northwest Conference first team. Traeger’s father, Randy, the former long-time Kennedy coach, joined the Bearcats this past season as an assistant coach. 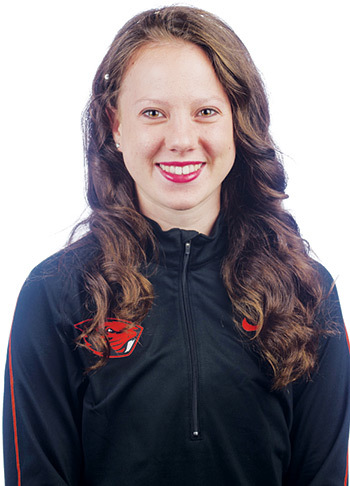 Oregon State cross country: Morgan Anderson, a redshirt sophomore from Silverton, took fifth at the Emerald City Open and ninth at the PSU Vikings Classic. She was the No. 3 finisher for OSU at thePac-12 meet (79th in 21:56 for 6,000 meters) and took second for the Beavers at the NCAA regionals (102nd in 22:08). Siskiyous football: Former Silverton standout Max Wilson, who was an all-state running back in 2013, had to take a medical redshirt at College of the Siskiyous because of a concussion. Wilson, who is now studying business communications at Chemeketa, hopes to get medical clearance to return to football. Kuschnick (1,470 yards and 20 touchdowns) also made the first team as a running back. He was joined by wide receiver Logan Munson (69 catches for 1,054 yards and 10 TDs) and offensive lineman Cody Gubbels. 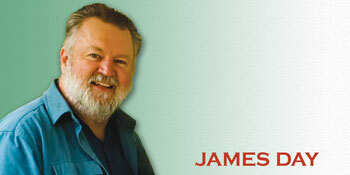 It was the second consecutive first-team slot for Munson. On the second team offense were quarterback Cole Chandler (125 of 205 passes for 1,923 yards and 18 TDs), linemen Owen Koger and Brett Miller and kicker Noah Dahl (55 for 67 on PATs and 3-4 on field goals). Dahl led the team in scoring with 148 points (he rushed for 542 yards and nine TDs and caught 20 passes for 331 yards and four TDs). It was the third all-state honor Chandler, who was a first-teamer in 2012 and a second-teamer a year ago. Kennedy placed kicker Angel Mendez on the Class 2A first team and wide receiver Brett Traeger on the second team. Tight end Jack Suing and defensive lineman Jacob Lopez received honorable mention. All-state volleyball: Kennedy, meanwhile, which turned in a perfect Tri-River Conference season and finished fifth in the Class 2A tournament, landed two players on the all-state team. Senior Loghan Sprauer was a first-team selection, and junior Lakin Susee made the second team.